It doesn’t get much better than this. Truebies rejoice! HBO, aired through Direct TV, in all their great and wonderful wisdom have announced that True Blood will be back for a 7th season. Looks like the supernatural vampire series has some robust immortality powers of its own. More Anna Paquin, more Stephen Moyer, more Ryan Kwanten, more Joe Maganiello, but most importantly for Alexander Skarsgard fans — more Eric Northman. Looks like the All Father heard us. Fang-tabulous! Eywa has heard us! Er, wrong show. But I’m not thanking Lilith. Or Billith. Or whoever their fanged vampire god may be. But I will thank HBO. In HBO we trust. Brian Buckner is returning as showrunner and he’s doing a fangs-mazing job of keeping this hot show smoking hot. So we’re stoked. Wow. Seems like just yesterday Eric had long hair and Bill was still Bill and not Billith. How far we’ve come. I am all for the the TV show prime directive, “If it ain’t broke, don’t cancel it.” HBO is making Truebies everywhere who were suffering severe fangover after Sunday’s “F**k the Pain Away” episode very, very happy. And nothing good lasts forever either and this season is going by too quickly. And it’s so darn good! It’s the best season yet in my opinion. Though I’m fang-static over the season 7 news I am not looking forward to the agonizing #waitingsucks part. And the fangover once a season ends is like Mount Everest epically excruciating. Show of fangs if you agree. See you Sunday when True Blood’s on HBO at 8pm PST and don’t forget to hook up over at Getglue! Eric, or Erik, is derived from Eiríkr (or Eríkr in Eastern Scandinavia) and is Old Norse in origin. The first element, ei means “one” or “alone” or it can also mean “ever” or “eternal”. The second part -ríkr means “ruler” or “prince”. It also means “powerful” and “rich”. Put it all together and Eric means “one ruler”, “eternal ruler” or “ever powerful,”. A truly immortal name. 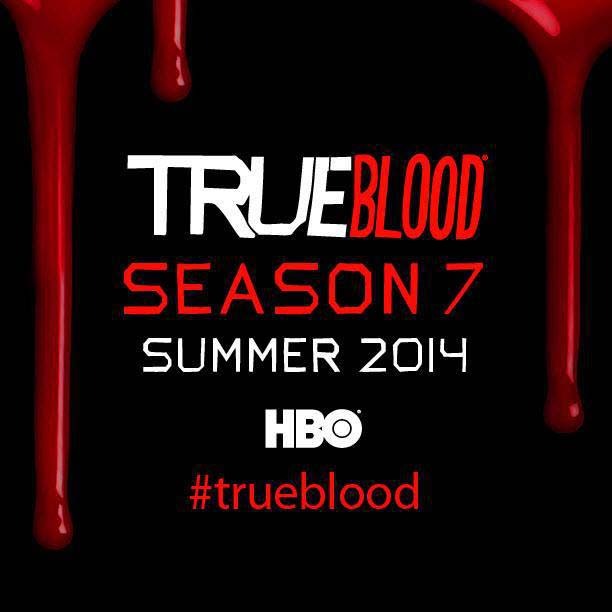 I can't wait for another exciting season of True Blood. Bring on the Vampire Bite!